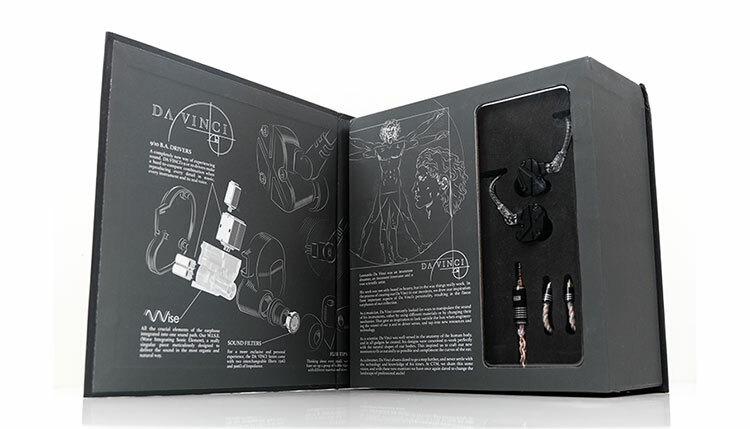 Disclaimer: The Clear Tune Monitors Da Vinci IX & X sent to us are samples in exchange for our honest opinion. We thank the team at CTM for giving us this opportunity. 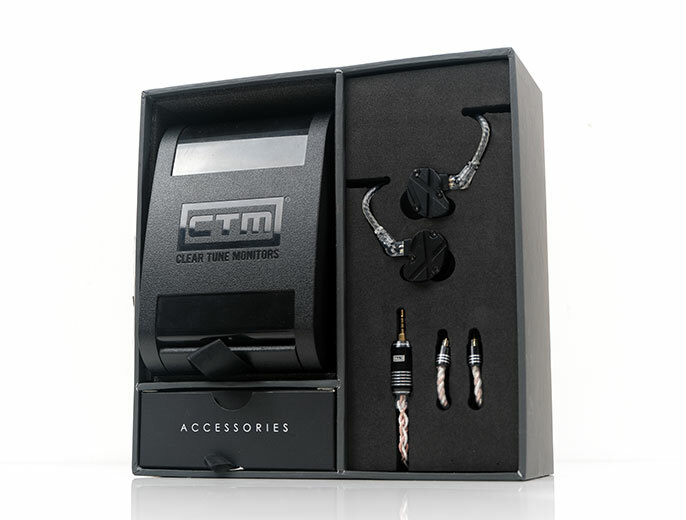 To read more about Clear Tune Monitors products we reviewed on Headfonics click here. It has been almost a year to the day when I first heard the Da Vinic IX and X at CanJam Singapore 2018. Admittedly they were prototypes and not the final production release but even back then I felt they were potentially very high-end monitors. I was somewhat surprised they did not hit the market sooner than they did but now that they are out we are happy to bring you our initial impressions (in time for CanJam Singapore 2019) and we do encourage you to demo these if you get a chance. The Vintage series was the first ever universal monitor series launched by Clear Tune Monitors back in 2017. This was a mid-fi offering with a fairly musical approach (VS-4). 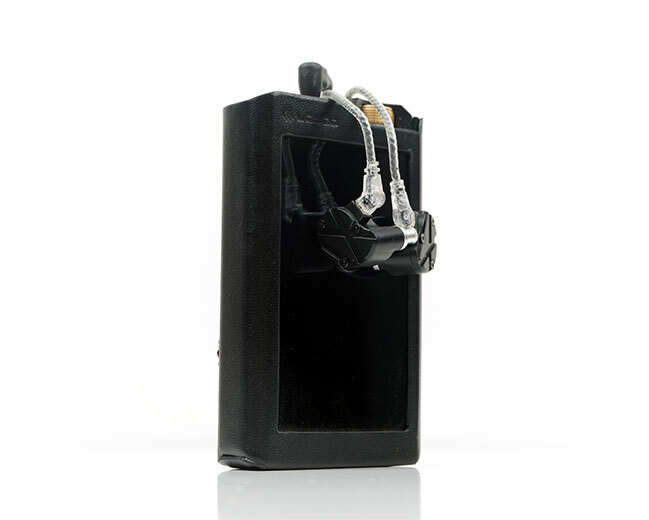 Since then, Clear Tune Monitors (CTM), has launched two new universal lines – the AS7 and this, the Da Vinci Series. 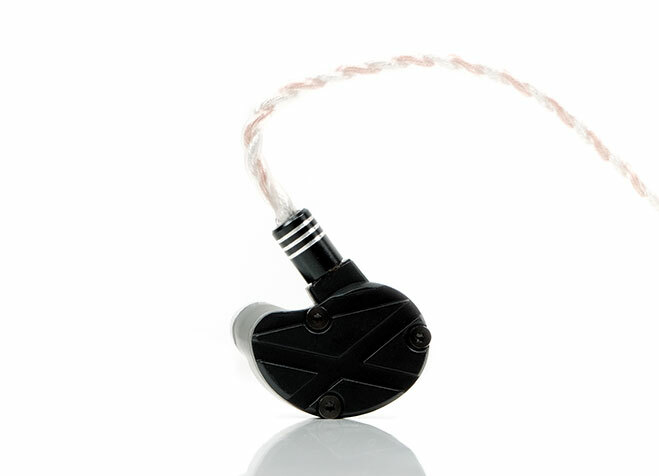 The Da Vinci Series is the company’s current flagship offering with two specific models, the IX, and the X. Both of these monitors are wholly balanced armature configurations with the difference being the $2000 IX has 9 drivers and the $2400 X has 10 drivers. Hence their Latin numeral labeling. The IX 9 driver configuration is 4 for the lows, 4 for the mids and just 1 for the highs with a 4-way crossover. 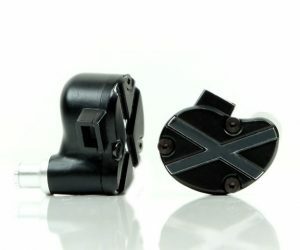 The X has a similar configuration but with an additional driver for the highs making it 10 in total using a 5-way crossover. 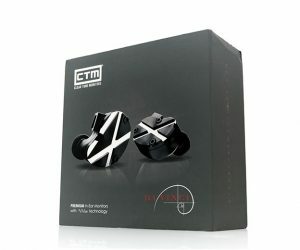 Both have different tunings with CTM pitching the IX as a more relaxed yet highly resolving musical offering and the X as their pinnacle of universal offerings for audiophile levels of detail. 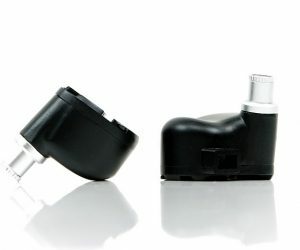 The two monitors also come with tweakable tuning filters to subtly adjust the treble and bass by varying amounts so the precise sound is not fixed in stone. Both monitors have the same excellent packaging with the graphics on the front changing to denote whether it is the IX or the X. 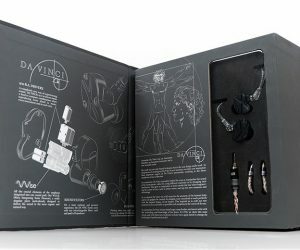 This is a medium-sized fold-out display box and it does look mighty impressive in terms of the internal graphics outlining the technology inside each monitor, the Da Vinci backstory and a small window to tease the monitors and cabling. The curved case is an excellent organizer box though a little big for pocket duty. 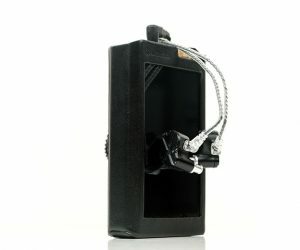 It sort of reminds me of 64 Audio’s cases but just that more complex with more useful storage compartments. 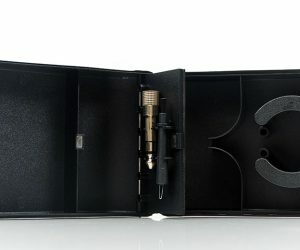 Inside, you get a binding pole to wrap your cable(s) around, two curved compartments to store the drivers and towards the middle, a little latched storage compartment for a cleaning tool and the 6.35mm adapter. 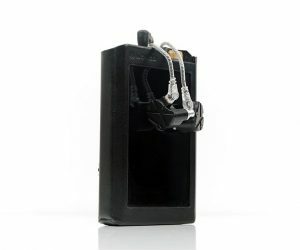 What I especially like, though I am not sure it is intended for this, is the ability to stuff the stock tips into that little storage compartment. A feature I felt was missing from the 64 Audio version. With both the X and IX you also get 2 sets of filters. Now what they do is not 100% clear on the boxes or in any supplied documentation. The blue one is denoted as 150Ω and the red one 300Ω which does not mean a whole lot initially. 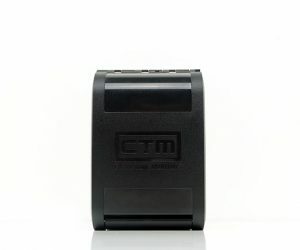 A quick check with CTM clarifies their purpose in a simpler manner with the blue filters taming the treble (by up to 3dB) and the red ones enhancing the bass by up to 3dB. Now quite where in the FR these filters target and how broad the range is I am not quite sure at this point and hope to have something more in-depth on the filters by the time we get to the main review. Both monitors have a similarly rugged industrial chic to their build quality combined with a ‘custom universal’ body design. The builds look robust, strong, and unlikely to break easily. 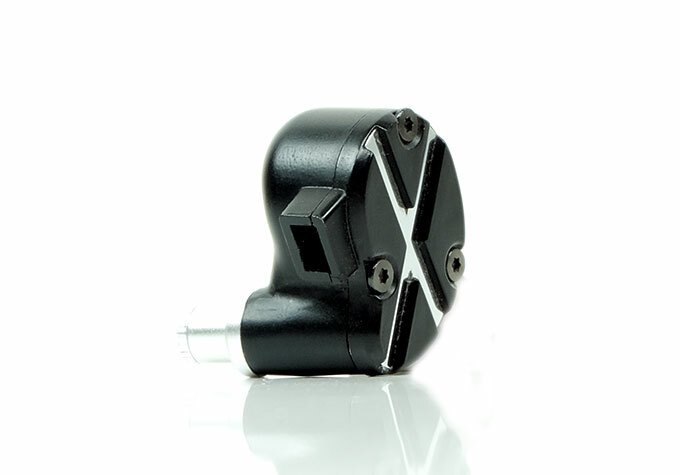 These are 3-part CNC aluminum housings with an all-black anodized finish and a detachable silver aluminum nozzle where you swap the filter. 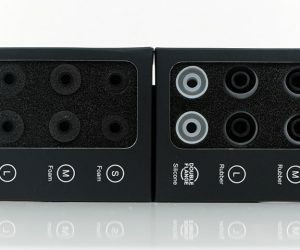 Both monitors have large torq screw finishing on their faceplates much like the Campfire Audio V1 designs (Andromeda, Jupiter). 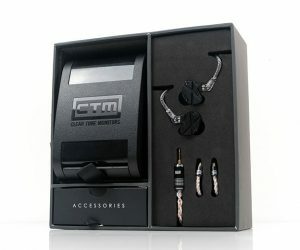 To tell them apart visually CTM has both the IX and X cut into the faceplates with the X using a silvery chrome finish in the cut and the XI retaining the pure black look. Despite the rugged top down looks the body shell is quite smooth. In fact, unlike the CA early designs CTM have done a much better job of ensuring there are no sharp edges on the from the sides of the faceplate downwards. The use of a contoured custom universal design is a welcome feature also. 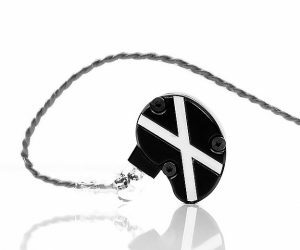 This is a specific shaping designed to match the common traits of most people’s ear shapes. By crafting this wedged contour it allows the Da Vinci series to fit snugly in your ear without putting pressure on you crus of your Helix or that little ridge around your ear canal. 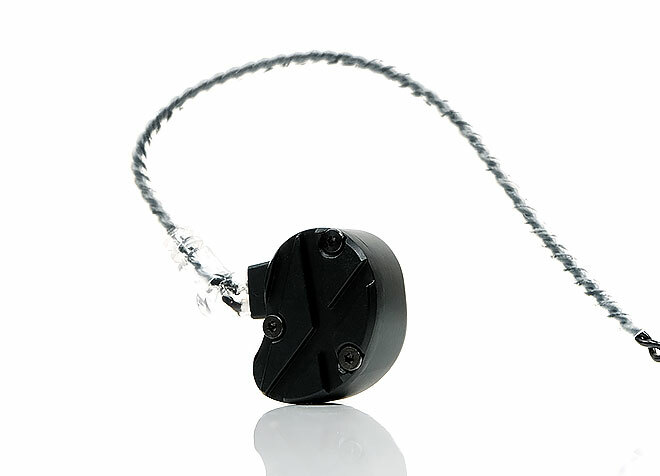 The Da Vinci Series uses a recessed socket 2-pin 0.78mm connection and is designed to be worn over the ear. 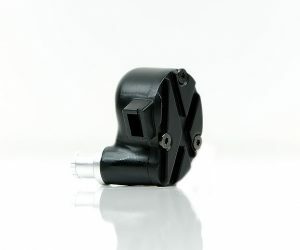 The sockets protrude ever so slightly from the main shell and the connectors on the stock cable are slightly angles but they are not UM style protruding connectors so cable rolling is not an issue. To prove that CTM, has supplied two cables with the X and XI. 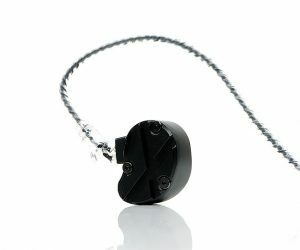 The first is a standard 50″ OFC 4-wire lightweight black jacket 3.5mm cable and the second is a more premium finished 4-wire hybrid with a balanced 2.5mm jack termination. The first one I have seen many times before and it will sound ok but lacks a bit of dynamic range and openness. It is, however, light, pliant and easy to work with little in the way of memory retention or microphonics. I believe the second one is their $180 Juba hybrid which is a Hybrid Copper/Silver Alloy and should bring a bit more clarity and sparkle to both monitors. It is a bigger cable but with a nice short braiding overthrow with some nice contrasting copper and silver colors from the TPE translucent jackets. 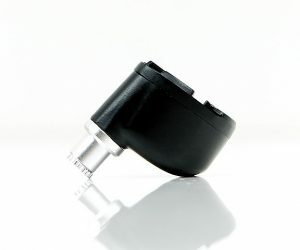 All barrels and connectors look built from solid aluminum and have matching design patterns so its a nice finish. 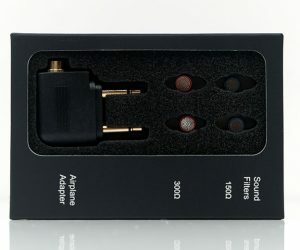 Our initial impressions of the X and XI are that they are by no means the lightest monitors around but they certainly are very comfortable in the ear with no perceived pressure point build up thanks to their unique body shell design. The XI might be marginally the more comfortable as they seem to be a shade lighter than the X with that one less driver inside. The X and XI come with two packs of tips. Foams in small, medium and large and silicone single bore tips in S. M, and L also. You also get one set of dual flange tips. Our initial impressions seem to suggest both the foam and dual flange isolate equally well with the dual flange tips being the comfier of the two. The single bore silicone tips provided very little passive isolation in comparison. Firstly, I would pick the premium cable by default. If it is in the box why not use it right? 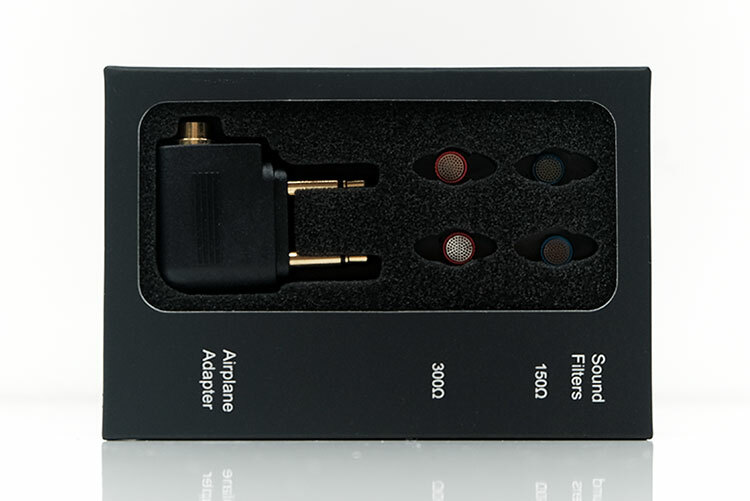 This cable will give you a bit more dynamic range than the stock cable so aspects such as sub-bass definition, resolution and how open the presentation sounds will improve with this hybrid cable. 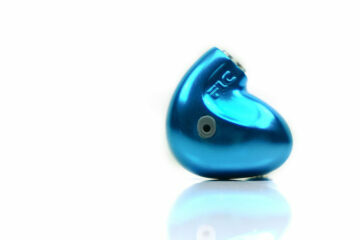 For tips selection, we have found the dual flange to produce the best balance between power, tone, and detail. The foams surprisingly didn’t really dip the treble as much as I thought it would on the X and add more fuel to the fire our initial impressions seem to suggest the dual flange has the more satisfying low-end response of the two preferred tips used thus far. So far, we have found two excellent but very distinct tunings with the X and XI. The XI is more mellow sounding in the mids and treble with a slightly warmer timbre than the X. 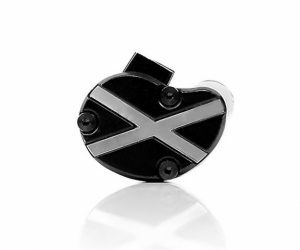 The X seems to deliver the same level of bass presence but offering more treble clarity and articulation as well as a more neutral midrange. The XI rolls off a bit more so there is less upper-harmonic or odd-harmonic presence in its timbre making it sound the more euphonic of the two for vocals and instruments. 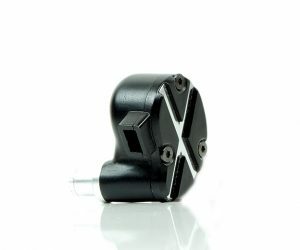 The X’s additional driver in the high’s pushes the upper treble further forward and offers more detail at the same time. Instrumental and vocal timbre has a more realistic harmonic balance over the XI and sounds the cleaner of the two. If you prefer a softer warmer musical sound with more vocal presence then pick the XI, if you want a little more neutrality, top-end detail and air then pick the X. Both the X and Xi initial impressions were drawn from a setup that included the Lotoo Paw Gold Touch and Sony 1Z DAPs and FLAC tracks 16BIT/44.1K. 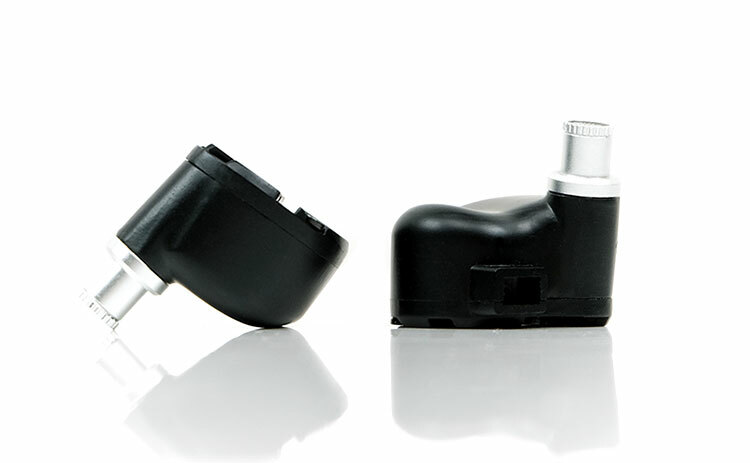 Both seem easy to drive and require no external amplification beyond a solid low-noise performance DAP. 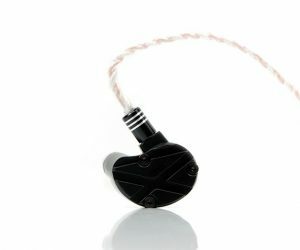 By the way, the sensitivity is high at 117.2 and 118dB for the X and XI but they also have higher impedance levels at 43.8Ω and 46.8Ω in that order. Our initial testing seems to fin both the X and Xi to respond well to weaker powered sources and not as deft at picking up background hiss as the likes of the Solaris. DAPs such as the PAW Gold Touch are dead quiet and even the HiBy R6 Pro shows a good level of low-noise performance with the Da Vinci series. When I first heard these two monitors at CanJam I was impressed but maybe due to listening fatigue from a long day at the show I picked XI as my favorite of the two. Now listening to them with a bit more time the road is less clear but I still do love that midrange timbre and forward vocal on the XI. It is possible by the time we do the main review that I may change my mind because there is no doubt the additional driver on the X changes things considerably. It is just a question of matchups and synergy with personal preferences that will decide it for me in the main review so stay tuned!